2017 will be quite the interesting year for the Firefox web browser. Mozilla plans to make the switch to WebExtensions in that year, launch a new themes API that is based on that, and will introduce a new default Firefox theme on top of all that. The first changes have been pushed to the Nightly version of the Firefox web browser already. The most visible change is the addition of two new themes that Firefox will ship with from that version on. What this means is that Firefox users can choose one of the three themes to run Firefox with, all without having to head over to the themes repository to download themes first. 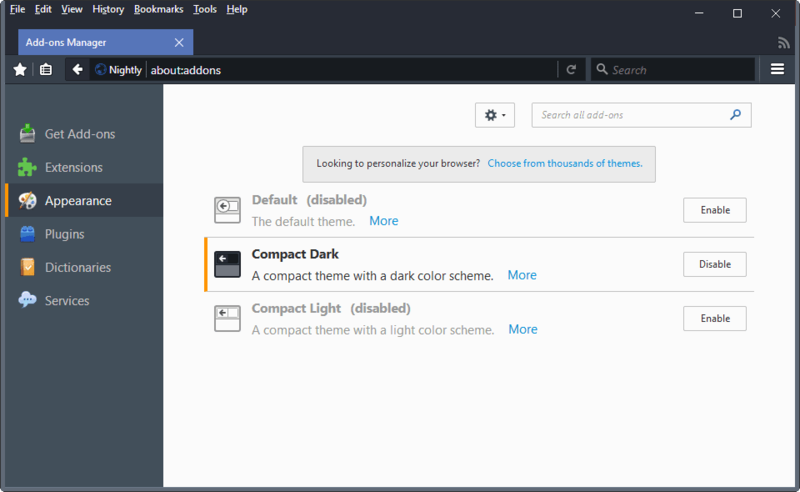 Users of Firefox’s Developer Edition may know the themes already: Compact Dark and Compact Light are more or less copies of the Developer Themes. The core difference is that you may enable the themes using the Add-on Manager, and don’t have to open the Developer Tools to switch between themes. Their main advantage over the default theme is that they save you a couple of extra pixels vertically when enabled. 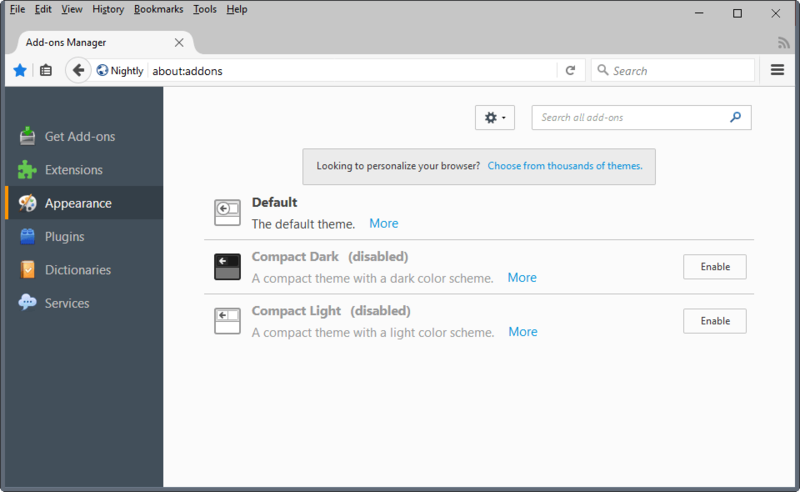 The new themes are already available for selection in Firefox Nightly. They will be made available in other Firefox versions in the coming months. To enable them, load about:addons in the browser’s address bar, and switch to appearance in the menu. There you find the two new themes listed next to the default theme, and any other theme you may have installed in Firefox manually. Simply click on the enable link to activate the selected theme. A restart is not required. Another option that you have to enable the themes is to open the browser’s customize mode. Click on Menu > Customize. Select Themes to display the list of themes. Firefox displayed the default theme there, and five recommended themes. The new themes listing there displays the two compact themes for selection, and only two recommended themes instead of five. 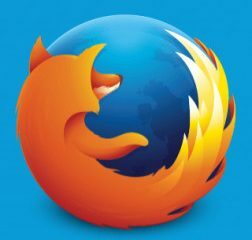 Mozilla is working on WebExtensions support currently. Some APIs are already available, and many are still being worked on. One API that was a no-show up until now was the new theme API that will provide theme developers with capabilities to create themes for the Firefox web browser. This is important, as Mozilla wants to turn off all other add-on and theme related creation options, and focus solely on WebExtensions starting in late 2017. All themes and add-ons for Firefox that are not created using WebExtensions won’t be compatible with Firefox anymore at that point. While it is possible that Mozilla will extend the deadline to give developers more time to make the switch, nothing has been said in this regard up to now. Specifics are not known yet and it remains to be seen how this will end up. The new themes API will sit somewhere between today’s lightweight themes and full themes. 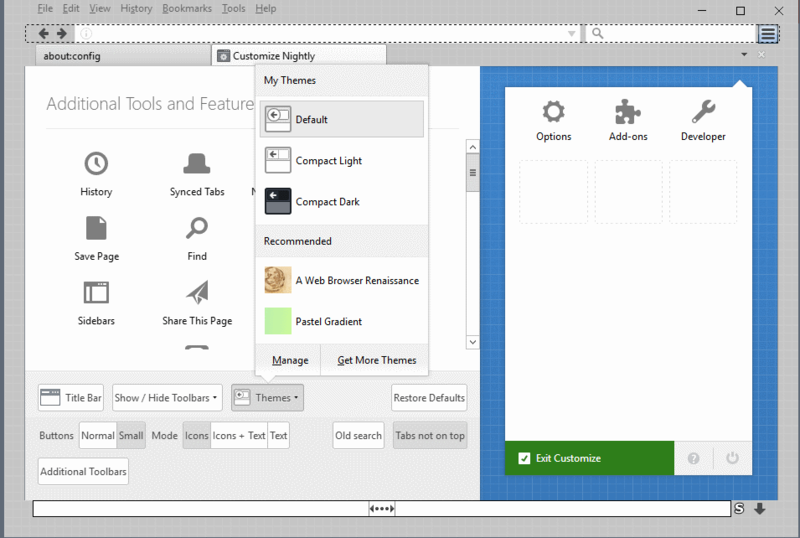 It will be more powerful than lightweight themes, but not as powerful as full themes. Type about:config in the Firefox address bar. Confirm that you will be careful if the warning prompt appears. This sets the preference to true, and enables support for the WebExtensions themes API in Firefox. You can follow development of the themes API — it is far from complete — here. 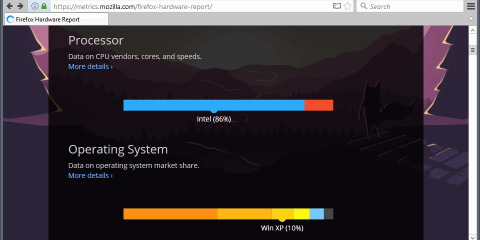 Mozilla plans to refresh the current default theme of the Firefox web browser in 2017. The project is called photon, and it is part of Quantum, but that is the extent of what we know about the plans right now. It could be a simple visual refresh, or something of epic proportions like Australis. Now You: What are your expectations for the new default theme, and themes API? Ghacks needs you. You can find out how to support us here or support the site directly by becoming a Patreon. Thank you for being a Ghacks reader. The post Firefox: new default theme, theme API makes an appearance appeared first on gHacks Technology News.